Does Moffat era Doctor Who take place in a different canon to previous era’s? I have recently developed a theory about Doctor Who canon. Now I am aware that a lot of people including Steven Moffat believe that Doctor Who does not have a canon, but I disagree. If Doctor Who did not have a canon then it would be like the surrealist British comedy Mighty Boosh anything could happen. In the Mighty Boosh main characters die and then re emerge completely fine then next week with no explanation, others back stories change without explanation. Both of these things have happened to the Hitcher one of the main villains of the series who was pressured into getting a large thumb one week by his family, and was then an orphan the next, and who was melted into a puddle in one episode and then re appeared fine the next. With Doctor Who however it isn’t like that. Adric dies and that’s that he doesn’t show up completely fine the next week he is gone and his death has a significant effect on the main characters, Rose leaves the Doctor and that remains unchanged and once again has a significant effect on the main character unlike the Hitchers death. However I do agree that Who has a more flexible canon than other series as it involves time travel and certain events not fixed points but certain events can be re written such as the events of the ninth Doctor story “Dalek” that must have been erased by The Stolen Earth/Journey’s End as Dalek shows nobody being aware of Daleks or aliens in 2012 whilst “The Stolen Earth” shows the Daleks stealing and invading the earth in 2009. Thus whilst I wouldn’t say Who has no canon I do agree that its canon can be changed a lot more easily than other series. Which leads me on to my next point that the bulk of Steven Moffat era Doctor Who, from “The Big Bang” onwards takes place in a different universe to all of the previous seasons of Doctor Who. Now I have many reasons for thinking this. First of all in series 5 of the new Doctor Who the Time Fields begin to rip apart the universe despite the Alliances best efforts to stop them until eventually all of creation except for the earth is reduced to nothing. The Doctor however is able to bring the universe back by flying the Pandorica which contains particles of the original universe in it into the exploding TARDIS which is still exploding at every point in history and in doing so rebuilds the universe as it was. However the only thing is the universe isn’t as it was. The Earth Invasions from the Russell T Davies era such as the Daleks stealing the Earth, Cybermen invading every major city, Slitheen crashing into Big Ben for instance now never happened. Mankind no longer knows about aliens in the early 21st Century despite it being “when everything changes” also the rule regarding “fixed points” in time is vastly different in the Davies and the Moffat era as is the ending of the Time War. 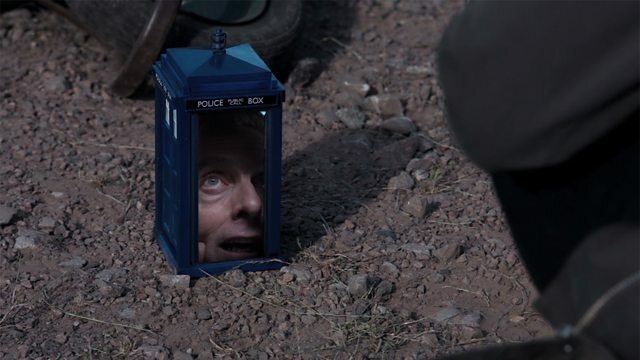 In the Davies era fixed points in time are merely events that the Time Lords have decided are too important and must always happen hence why the 10th Doctor is able to break one in “the Waters of Mars” without reality collapsing. In the Moffat era fixed points however must always happen because if they don’t the universe will be destroyed as seen in “The Wedding of River Song” when River breaks one and all of time is threatened. These numerous discrepancies have lead many Whovians to believe that the Doctor didn’t restore everything as it was when he rebooted the universe in “The Big Bang”, some events were left out such as the Daleks stealing the earth and also Rory’s death at the hands of the Silurian Restac. However I am going to go one step further and say that the Doctor created a new universe at the end of the Big Bang one that was similar to the old one but ultimately different in a number of ways. This is backed up by what the Doctor says in the episode itself. When explaining to River how he is going to bring back the universe the Doctor compares it to cloning a human being from a cell. Thing is when you clone someone you don’t bring the original back to life you create a copy of the original so the fact that the Doctor compares rebooting the universe to cloning suggests to me at least that that is what he did he created a new universe from what was left of the old one and all adventures in the Big Bang from this point on take place in this new universe which is similar to the old one sure but is also different in a number of ways. The Doctor, Rory, River and Amy meanwhile are all that is left from the old universe. They are integrated into the new one and its timeline and they have memories of the old one yes, but they are now part of the new universe whilst everyone else is merely a new Universe clone. This is the universe where every story from “An Unearthly Child” to “The Big Bang” takes place. In this universe the rules regarding fixed points in time where different. They were merely moments the Time Lords had decided could never be changed. They could actually be changed however if one were so bold as to go against the laws of the Time Lords which the Doctor does after the Time Lords are gone in “The Waters of Mars”. Thus in this reality time can be rewritten a lot more easily which is how the Daleks have two different origins as seen in “The Mutants” and “Genesis of the Daleks”, and the Earth is destroyed in two different ways in “The Ark” and “The End of the World” and how Henry Van Statten doesn’t know what a Dalek is despite them stealing the earth three years earlier. All 3 cases were of time being re written. In this reality aside from the Time Lords there are also creatures called Reapers that appear whenever time is changed. Time Lords in this reality could not change gender. This explained why it was never even hinted at in Classic Who and why we saw whole Time Lords burn out regeneration cycles and not change gender. In this reality the Doctor also never became the War Doctor it was the 8th Doctor who fought in the war. There were only 11 Doctors at this universes end. The Master was perhaps the Doctors brother explaining the Ainley Master’s comments “wont you even show mercy to your own” in “The Planet of Fire”. The Master was also killed when he went back into the Time War, when he blasted Rassilon in order to save the Doctor in “The End of Time”. In this reality the Time War went differently too. The High Council were in more control and tried to destroy all of creation leading to the 8th Doctor burning them all alongside the Daleks, also the Time War was perhaps a much more drawn out brutal affair and by its end it became the “hell” the Doctor described with creatures like “The Nightmare Child” and the “Skaro Degradations” all running about, rather than just Daleks and Time Lords. The Zygons home planet was destroyed by a solar flare. The Rift existed in this reality a portal between Cardiff and numerous other time periods and dimensions and planets. In this reality the new Dalek race created in Victory of the Daleks destroyed the old Daleks and became the only Dalek race in existence. In this reality Earth was invaded by Daleks, Cybermen, Slitheen, Sontarans and Sycrocrax in the early 21st Century leading to mankind becoming aware of aliens in the 21st Century hence Jacks comments of 21st Century is “when everything changes”. In this reality mankind first ventured out into the stars when Adeliade having been inspired by the sight of a Dalek during their 2009 invasion went to Mars and sacrificed herself for the good of mankind. This lead to her children and her children’s children travelling into space and forging a legacy that would lead to mankind enduring to the end of time. The 7th Doctor destroyed Skaro prior to the Time War using the Hand of Omega. The Great Intelligence is a cold and logical being in this reality hence his comments in “the Web of Fear” that “revenge is a petty human emotion”. Rory Williams was shot dead by the Silurian Restac. This universe ultimately is destroyed when the time fields merge and erase it all except for the earth. 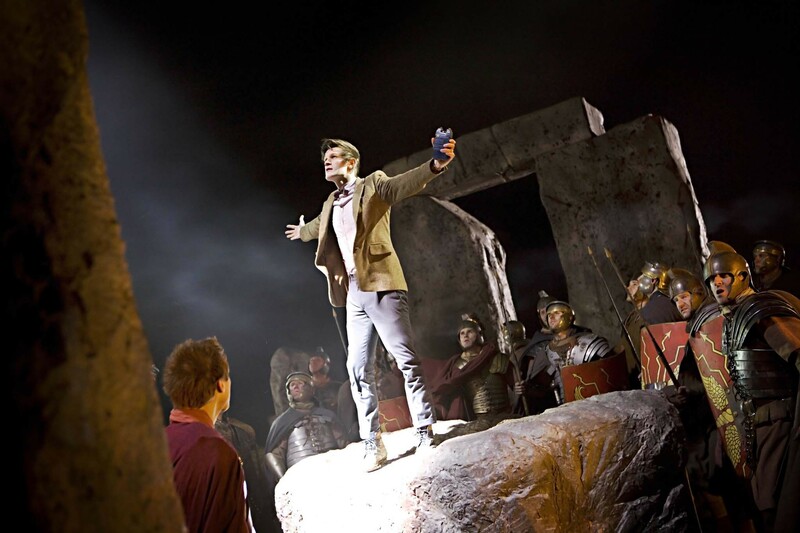 The 11th Doctor however using the Pandorica is able to create a new Universe from the “DNA” of the old one. He River, Rory and Amy the last survivors of the old universe are integrated into the new universe and their histories are rewritten accordingly, however they still have the memories of the old one. For instance Amy remembers travelling with the Doctor and growing up with her parents even though the two things never happened at the same time. Her life with her parents was in this reality in the original she had no parents when she travelled with the Doctor. This new universe has a similar history to the old, but ultimately it is different in a lot of places and has different rules. This is the universe that was created at the end of “The Big Bang” and every story since has taken place in this one. It has many differences to the original Whoniverse. In this reality fixed points are moments that cannot be changed because if they are then the universe and time itself come undone. Thus time is harder to change in this reality as it is not just merely a case of answering to the Time Lords its a case of destroying the universe if you change a particular event. The Reapers do not exist as there is no need for them due to the laws surrounding fixed points. The War Doctor existed in this reality which perhaps changed the course of the war. The Master was clearly NOT the Doctors brother in this universe. The Zygons home planet was destroyed much later in the Time War. The Time War ended differently. Here the War Council in the later years where able to gain more control over Gallifrey and prevent the High Council from carrying out its plans to eradicate all of time itself. Though the Doctor still tried to use the moment the fact that Gallifrey was not so corrupt caused him to eventually spare them. In the original universe because it was Rassilon and the High Council perhaps not even the Moment itself wished to spare them and allowed the Doctor to use it. Here however the Doctors saved Gallifrey and thus it did not perish in this reality. The Time War also ended differently in that towards the end it only involved the Daleks and the Time Lords which explains why we never saw the Nightmare Child or any of those other monsters 10 talked about in “The End of Time”. In “The Day of the Doctor” the end of the time war just looked like a standard space battle rather than “hell”. In this reality Time Lords are gender fluid and change gender all of the time when they regenerate such as the Corsair and Missy. 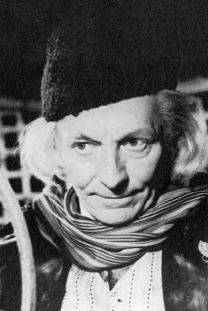 Perhaps the 4th Doctor did not die during the events of “Logopolis”, but instead lived to being a ripe old age explaining the mysterious Curator we see in “Day of the Doctor”. However the Curators comments at the same time imply that he is a future regeneration who has assumed the face of the 4th Doctor, so 4 may have still met his end this way. The battle of Canary Wharf still happened, but the Daleks stealing and invading the Earth didn’t which explains how the Valiant is still around in “Dark Water/ Death in Heaven”. Earth was also never invaded by the Slitheen, the Sycrocrax and the Sontarans, and the Battle of Canary Wharf was covered up by the government. Thus mankind in the early 21st Century remained blissfully unaware of aliens. The 7th Doctor did not destroy Skaro it survived even the Time War itself and was later occupied by the new race of Daleks which explains how Skaro is still around in “Asylum of the Daleks” despite being destroyed in “Rememberance of the Daleks” as Rememberance took place in the old universe. The new race of Daleks who were created in “Victory of the Daleks” did not destroy the old Daleks who had created them but instead kept them as a servant race. This explains why in “Asylum of the Daleks” which is after “The Big Bang” there are the old Daleks alongside the new ones who are their masters. Here the old Daleks were not destroyed just made into the servants of the new Dalek race. Perhaps the Cult of Skaro emergency temporal shifted to where the progenator device in “Victory of the Daleks” was instead of Manhatten, and used it instead to create the new race of Daleks. Thus Caan never went back and rescued Davros, as the cult did the Ironside trick instead and created the new paradigm Daleks who as I mentioned enslaved the cult rather than destroy them and created a servant race of Daleks from the cults DNA. This would explain why we saw a black Dalek resembling Sec in the Dalek Asylum. That’s where he ended up here rather than dying in Manhatten. Daleks in this reality considered it offensive to destroy other Daleks as they hated destroying such divine hatred, unlike the Daleks of the original universe who as evidenced by the numerous Dalek civil wars had not problem with killing one another. This explains why the new Proginator Daleks didn’t kill the original Daleks who made them. As there were no 21st century alien invasions Adeliade was not inspired by the Dalek to go into space. However mankind would still endure until the end of time after being inspired by a totally different event. The Moon hatching into a Space Dragon is what inspired them to explore space rather than Adeliade’s sacrifice. Presumably the Space Dragon did not exist in the original universe. The Rift also did not exist in this reality. The Great Intelligence in this reality was a more emotional creature who faced the Doctor many times rather than just twice in the Second Doctors era. This would explain why in “The Name of the Doctor” he claims the Doctor thwarted him at every turn and why he is willing to kill himself just to get revenge on the Doctor. This to me seems the most likely explanation for all of the continuity errors between the Moffat era and Davies’s time. A good comparison to my theory would be DC Comics which had a similar reboot in their story “Crisis on Infinite Earth’s” “Crisis on Infinite Earth’s” saw all the universes that previous DC Comic had taken place in become destroyed and a new one take its place with a similar but ultimately different history to the old ones. That to me is what the season 5 finale “The Pandorica Opens/ The Big Bang” is its the Doctor Who version of “Crisis on Infinite Earths” the big story whose job is to sort out the franchises messed up continuity. Of course I am sure many of you out there will disagree with me, but still let me know what you think of my little theory in the comments below. Great post! That’s an interesting theory! I assumed the events of “The Day of The Doctor,” where The War Doctor, The Tenth Doctor and The Eleventh Doctor saved Gallifrey always happened, The War Doctor just forgot about them when he regenerated into The Ninth Doctor. The Eleventh Doctor did reboot the universe in “The Big Bang,” creating a new universe, where presumably a lot of events were either prevented or altered, so you may be onto something there! I try not to think about the continuity of Doctor Who, it hurts my head too much haha. Yeah I suppose the events of Day could always have happened bt that’s the great thing about Who continuity its so vague everyone can have their own mad theory and this is mine. Thanks for the feedback. I agree completely and no prob! Very observant theory. I like it. I’m extremely impressed that you were able to find a logical reason for the differences in the Earth’s timeline that works within the framework of the show, not just because of the switch of show runners. Why do you suppose the new universe doesn’t have its own Doctor, Rory, Amy, and River, independently of the ones from the old universe? I reckon as they were at the eye of the storm it merely integrated them into its timeline with their history’s altered accordingly. Also perhaps as they come from the original universe some events from the original universe still had an effect on them which is why handy still counts in The Time of the Doctor despite Handy being wiped from canon as the Dalek Invasion of Earth was wiped from canon. Oh yes it was hinted at in Classic Who: as early as 1975’s “The Hand Of Fear”. When the Doctor and Sarah doubted the male Eldrad was the same as the previously female Kastrian they knew even after his claim that he had regained his “true form”, Eldrad replied: “Come, Doctor, you’re beginning to sound like Professor Watson! As a Time Lord, you should be well-acquainted with the process of regeneration.” That alone implies that it was possible and that Eldrad knew Time Lord regeneration could involve gender-swapping in the formation of a new body.